The past 12th of March a group of 12 young people ready to make a change in Europe gathered in the former Ottoman capital, formerly named as Byzantium, Constantinople or Stamboul, and nowadays known as Istanbul. 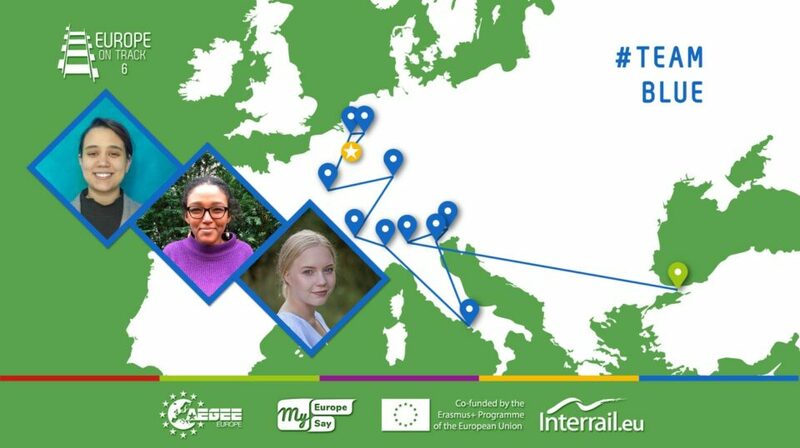 These young people coming from multiple corners of Europe and beyond were not but the Europe on Track 6 Project Team and the Ambassadors of this edition. The reason for their gathering? The training that the Ambassadors need to undertake before the beginning of the routes. After we got to take the people, whom for weeks we had only seen from their necks up on our laptop screens, into our arms, the training officially started on the 13th. 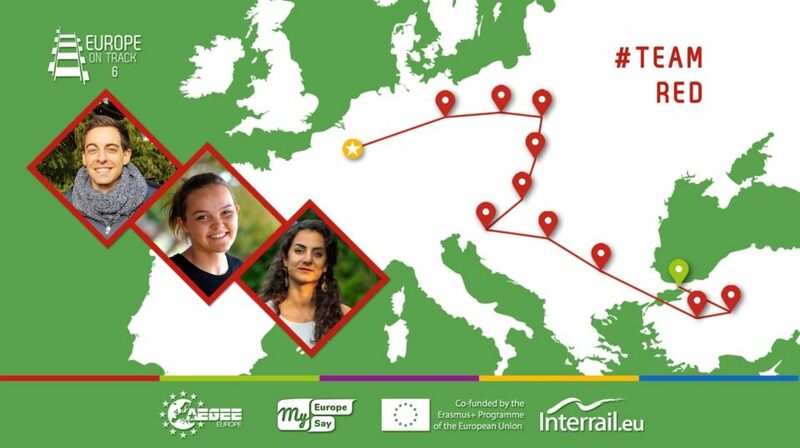 It lasted altogether for nine days: the longest training for Europe on Track Ambassadors in the history of the project. Its ultimate aim was to finalize the content of the workshops, to develop further ideas for our output, to train Ambassadors in detail on their roles and tasks, and of course, to strengthen our team dynamics. 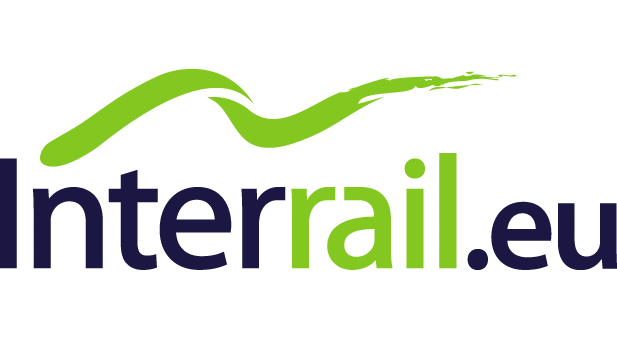 It can certainly be affirmed that the aim of the training was fulfilled, and we Ambassadors are now on the road (or should we say track?) prepared and ready to rock all around Europe. Regarding the content of the event, the first day started with team-building activities as well as sessions oriented towards the development of group cohesion, such as conflict management, giving feedback, or even building a spaghetti-marshmallow tower in teams with limited materials and instructions. Following the AEGEE tradition, the day ended up with a European Night between the Europe on Track team and the AEGEE-Istanbul members. The following two days were centred around the framework of EoT. Viola Bianchetti, Projects Director of AEGEE-Europe, introduced the Ambassadors to “My Europe, My Say”, the project in which Europe on Track finds itself, and the history of AEGEE. The Project Team of EoT explained the history of the project, the role and duties of the Ambassadors, and the technicalities of being an interviewer, photographer or videographer. Part of the responsibilities of the Ambassadors is to deliver workshops on this edition’s topic. Therefore, before meeting in Istanbul we had already been working on developing their outlines, which were finalised and tested during the second part of the training. These are the topics of the workshops from this year: Youth Participation, Youth Mobility, Migration and Refugees, Languages in Europe, and Euroscepticism & Europtimism. Members of the team experienced on non-formal education and workshop-delivering organised the part of the training related to how to be a trainer. Last but not least, two Ambassadors from last year’s edition, Furkan and Hanna (also Route Manager of EoT 6) offered their know-how and experience as former Ambassadors. Among other things, they shared their experience of living and working together in a small team for such a long time, past mistakes and tips for the future, and many, many fun stories from the past year. Our main take away: peer-to-peer learning is everything. This also applied to the preparatory work for part of the output of the project. If you are curious about what that will be, stay tuned for the next weeks! It goes without saying that our training also involved lots of Çiğköfte, Baklava and private city tours with the AEGEE-Istanbul members. Big love to the locals here for hosting us throughout the ten days, participating in our trial-workshops and organizing an unforgettable boat party on the Bosporus. The six Ambassadors are now off to their first stops: Team Blue has just arrived to Bergamo and Team Red to Ankara. Make sure to follow us on Facebook, Instagram and of course here to stay updated! 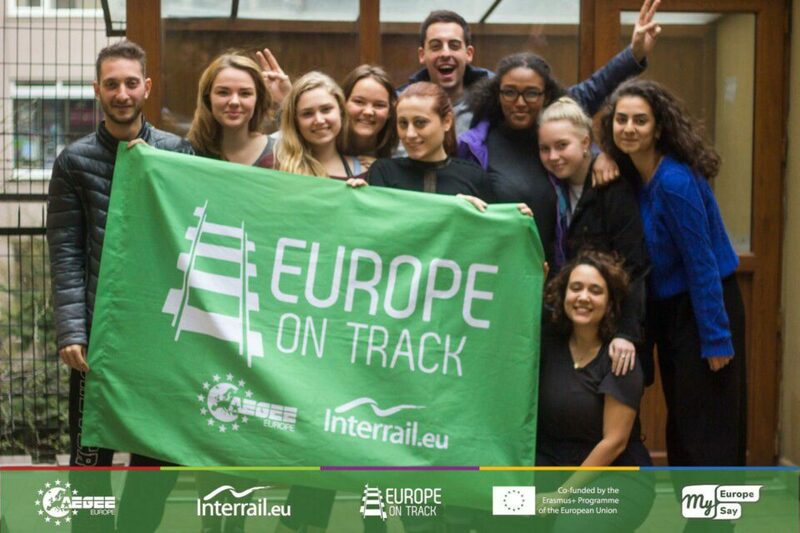 Last but not least, we cannot finish this article without giving thanks to Erasmus +, “My Europe, My Say” and Interrail, as their support is one of the cornerstones that is making Europe on Track 6 happen, and obviously to the 20+ AEGEE locals and 200+ members that are helping us to make this project not only a reality, but also a success.